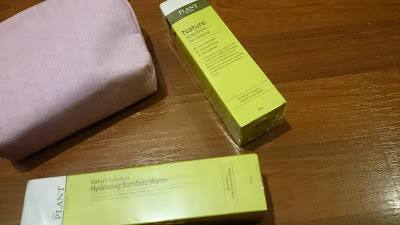 I got to try out two full-sized Korean products. 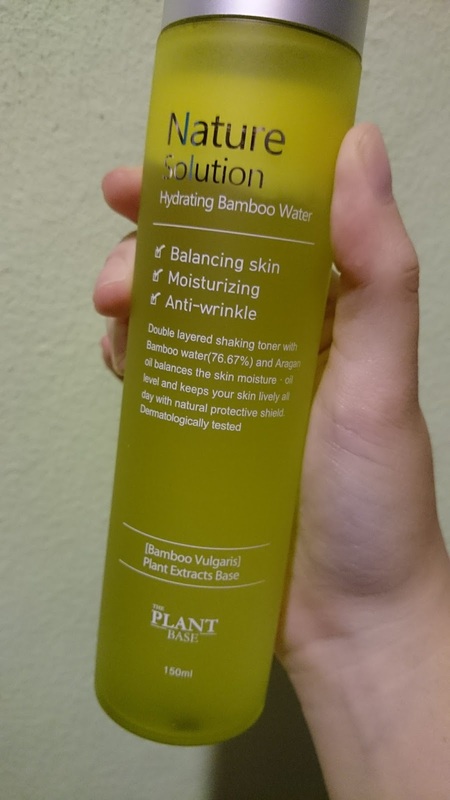 Both products use Bamboo Extracted Water. Say Hello to The Plant Base. Honestly, have you heard of this brand? It is actually available on Hermo. Prices range between RM 121 - RM 55. Quite pricey but some products are having 15% - 29% off. 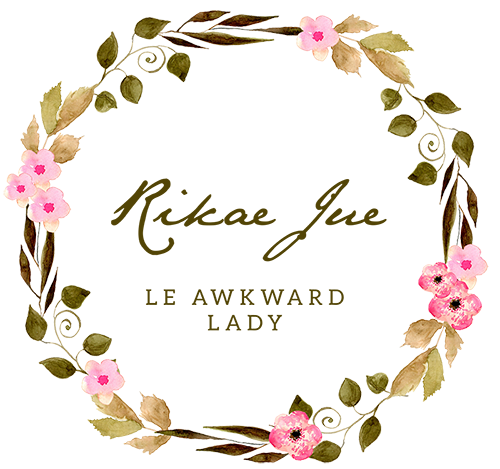 Worry not, at the end of this post, there is a special discount code for my readers. So keep on reading! 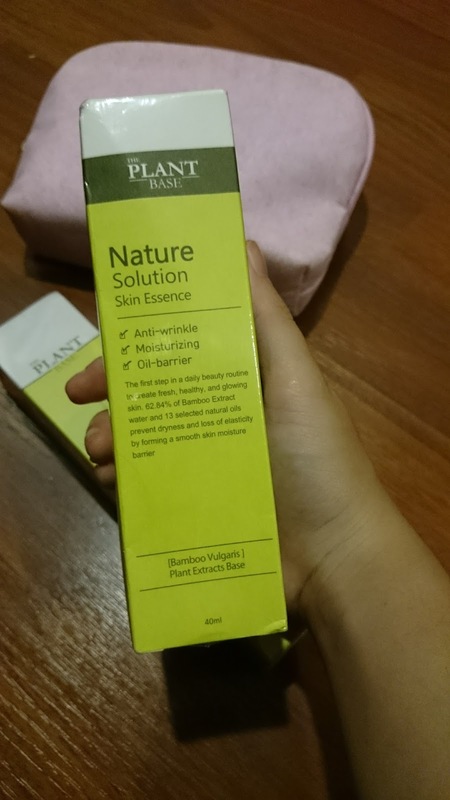 The Plant Base uses plant extracts as its ingredients, also adding other organic ingredients. This ensures that no harmful ingredients are needed in their products. 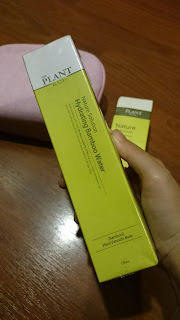 Let's review the Hydrating Bamboo Water first. Simple environmental-friendly packaging of the product. The product before shake. Notice the clear liquid and the top layer? The top layer is the Argan Oil and other natural oils, unmixed with the Bamboo Water. This is after shaking well. This product is used as a toner. 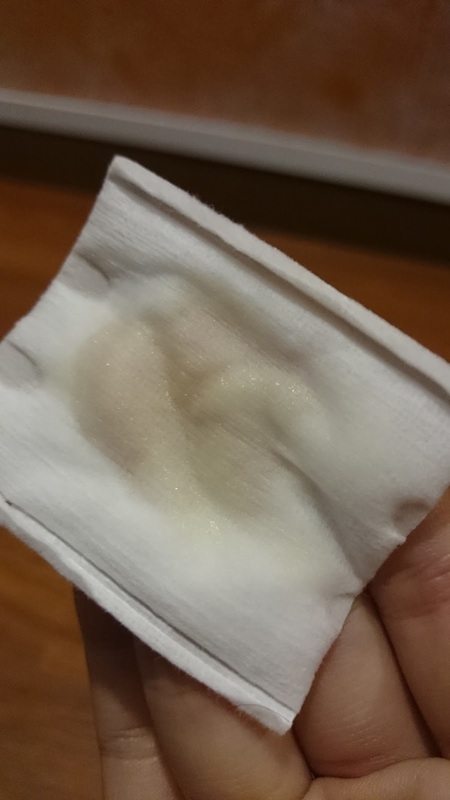 A few drops to soak a cotton pad. There's a slight greenish hue and negligible smell, disappearing after application. 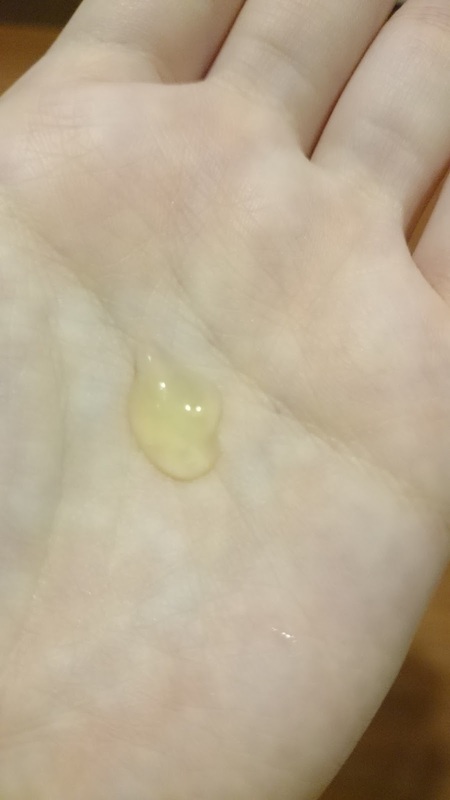 My skin is a combination type; dry cheeks, oily forehead. So I will start on my cheeks first then dab a few times on my forehead. 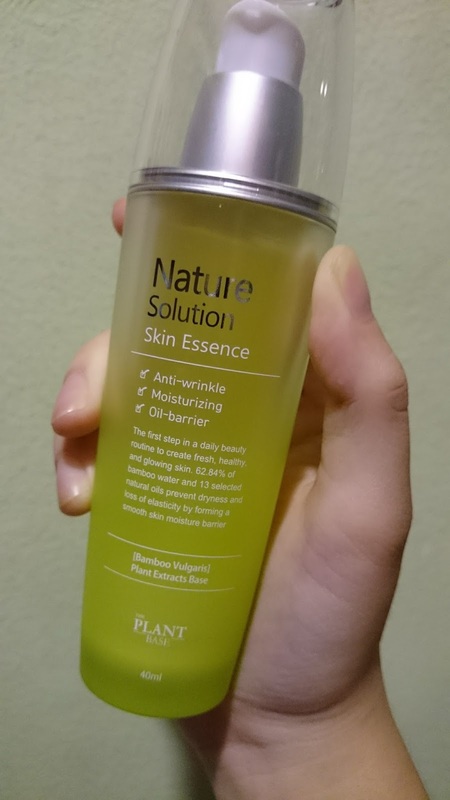 If you follow my Facebook fan page, I remarked about trying out the 7-Skin Method, which uses a watery toner/essence 7 times after face cleansing. It is currently a must-try trend in South Korea. It is said to lock in more moisture as you are layering more barriers on your skin before applying the last step, moisturizer. I tried doing with this product and stopped at the 4th application. I applied with cotton pad first then the following by hands. By the 3rd, I was already feeling oily on my cheeks. So by 4th application, I decided to stop as I wasn't keen if pimples appear the next day. Do try out this 7-Skin Method with your watery toner. Remember, only watery toner with no alcohol ingredients. Or you may irritate your skin instead. 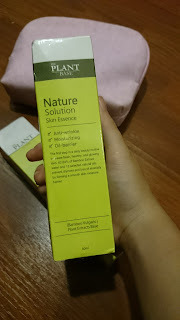 Second product is the Skin Essence. Identical packaging as the first product. Bottle is hard glass with a push pump, much like a serum pump bottle. I find the cover redundant but it does keep the top safe and less exposed to outside air. Consistency is gel, slight greenish hue and same negligible smell. Absorption rate is so-so and it doesn't leave the sticky feeling. Instead, my face felt a bit oily. 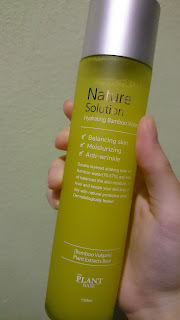 After I did the Bamboo Water 4 times, I applied this as well and left my skin feeling really oily. However, massaging it in a couple times and my skin felt smooth and moisturized. So I skipped my moisturizer. As I slept with air-conditioner, I expected to wake up with dry cheeks. No dry cheeks! Smooth skin and still moisturized. Personally, I am satisfied with these two products as they fulfill my skin's needs. The amount is also enough to last for about 3 months max with consistent use (my experience of using the same amount of other brands). There are also other products on Hermo, feel free to browse and select which fulfills your skincare. on ANY The Plant Base products starting 6/3/2017 till 16/4/2017. another great products for ladies out there. I am wondering if it suits my skin or not because my skin is quite sensitive which I need a suitable one to treat it badly.. I've never heard of this product. Would have to give it a try some day! These products are rich and absolutely safe as they are natural. the best products always have natural bases which ensures there are no side effects from harmful chemicals. This seems quite a nice product to give a go at and seeing that its of a nature base, it certainly seems promising as well. This sounds like something worth trying. 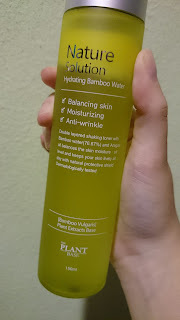 I am a believer of bamboo products. Thanks for your tip off!